Every year approaching Christmas, YMCA Calgary helps many families from our YMCA programs by coming together to purchase gifts for families in need. This week, you will see different displays pop up in each YMCA branch. The displays will contain details about each family (genders and ages) and a listing of their needs and suggested gift ideas. 2. Take the tag(s) that describes the item you would like to donate. 4. Bring your tag and unwrapped item to Member Services. 5. 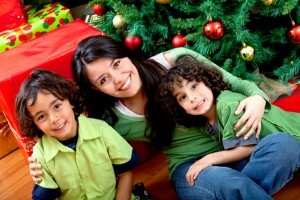 YMCA staff will wrap and deliver gifts to the families in time for Christmas. The families the YMCA helps are gathered from several Community YMCA Programs including YMAP (YMCA Achievement Program), Aboriginal Programs and Services, LINC (Language Instruction for Newcomers to Canada), and Outreach. Thanks very much for helping out in your community and let the spirit of giving begin! 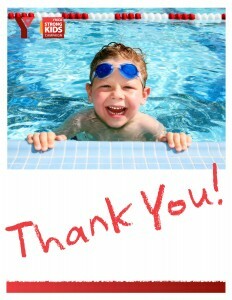 For more information or to donate, contact your YMCA Branch today. *Please note: All 2015 Adopt a Family families have been selected. Come celebrate the New Year with new ways to stay active at the Gray Family Eau Claire YMCA!!! 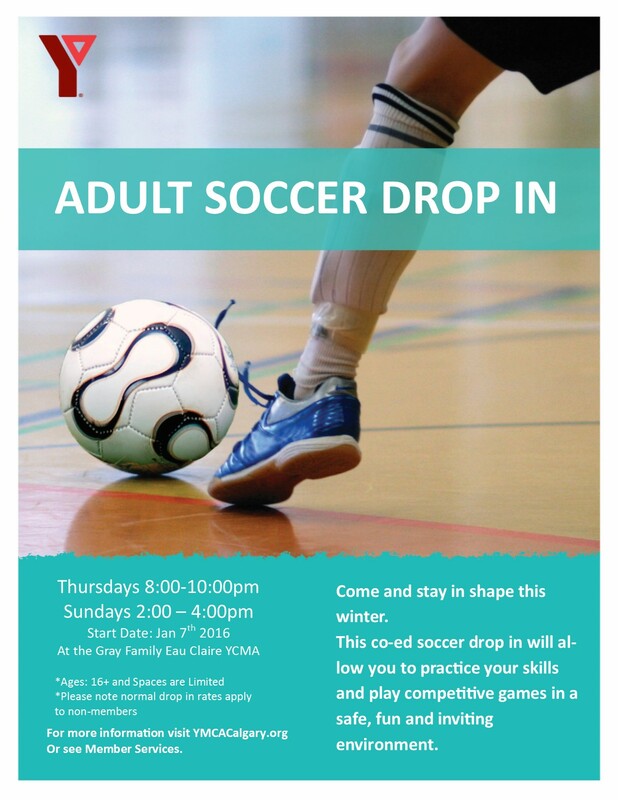 The Gray Family Eau Claire YMCA is introducing Co-Ed Adult Drop In’s for the New Year. 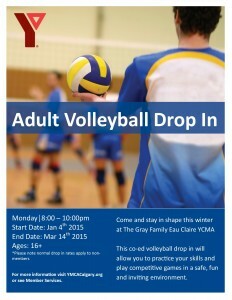 Three nights a week, starting on Monday, January 4th, 2016, enjoy adult only drop in Volleyball and Basketball. Change up your workout and come play in a fun, safe and inviting environment. Contact Member Services at the Gray Family Eau Claire YMCA for more details. 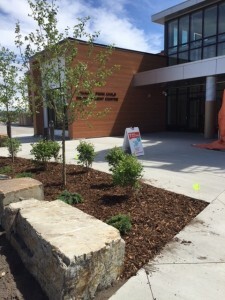 YMCA Calgary is excited to be planning for the opening of two new licensed childcare centres in the SE community of Quarry Park. The anticipated opening date for both the Remington YMCA Child Development Centre and the Quarry Park Child Development Centre is summer 2016 with more details to follow as building construction continues. 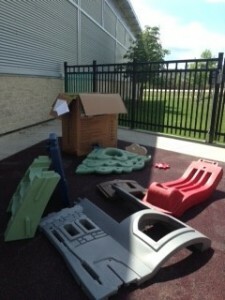 Each of the two centres will feature the national YMCA Playing to Learn curriculum and offer children the opportunity to gain health, social and learning benefits in a play-based learning environment. Drink plenty of water: It is important to stay hydrated. Make sure to carry a full water bottle with you at all times. Shower or bathe frequently in cool water: It will help you stay cool by lowering your body temperature and making you feel refreshed. Make sure to wear Sunscreen: Wear sunscreen as it helps keep ultraviolet rays from damaging the skin. 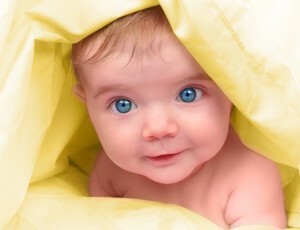 Dressing in light, loose clothing that covers bare skin is another sun-safe move. 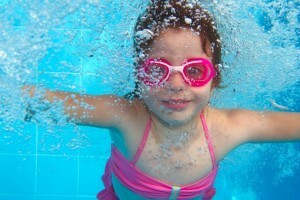 Have a family swim: Find a local pool or splash pad to spend the afternoon at while keeping cool. Perhaps one of the local YMCA Calgary pools? Take advantage of the cooler times of the day for activities: Early mornings and later evenings are the best times for strenuous activity. Enjoy a cool treat: Ice cream, popsicles or freezies are enjoyable at any age. Or, try frozen fruit snacks such as grapes and bananas. Look for inside or shade activities: Arts and crafts, reading or a favourite family board game are a great way to take a break from the mid-day heat. Summer fun for the entire family!